How To Use A Rifle Scope - Complete Guideline From A Professional! How To Use A Rifle Scope – Complete Guideline From A Professional! A great rifle scope makes a great gun. Even with the best rifle on the market, but with a poor scope, there’s a slim chance that your shot will land anywhere near the target. But remember, sharpshooting takes more than just plonking the scope on your rifle. Riflescopes, in most cases, can be a little intimidating. Plus, they come in many different varieties to suit different needs. The purpose of this article is to unravel the mystery of rifle scopes. 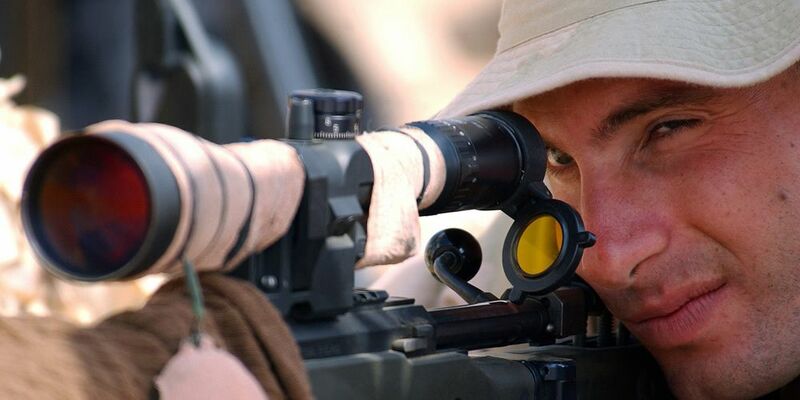 Here, we provide general tips on how to use a rifle scope to aim and shoot accurately. Body: Most refer to it as the “tube”. It is the scope’s diameter with common sizes being 1-inch and 30mm. Eyepiece: The part of the scope that the viewer looks through. Windage: The horizontal motion of the potential bullet trajectory. Elevation: The vertical motion of the potential bullet trajectory. Adjustment knobs: Come in different forms, mostly finger pressure knobs, and flat tip screws. Adjustment knobs help you change elevation and windage. Reticle: Estimates the landing point of a potential hit. It comes in a variety of styles with the most common comprising dots and crosshairs. Eye relief: The maximum distance at which you can see a full crisp target image with no dark ring on the edges. The next step in understanding your scope is to determine the type of lens it uses. Is it a single lens or a variable power lens? Single lens, as the name suggests, provides one level of magnification. Most scopes come with a single lens. A variable scope, on the other hand, comprises a ring that lets you adjust to different levels of magnification. The final step to understanding your rifle scope is to access the level of magnification it provides. You can simply determine this by looking at the model number. A scope’s model number comprises two distinct elements: magnification power and the diameter of the objective lens. For instance, 4 x 30 denotes four times zoom and 30mm lens diameter. The higher the first number, the stronger the level of magnification you get. NB: Riflescopes with variable magnification have a different model number, for instance, 4-12 x 32. The first set of numbers (4-12), indicate a variable magnification that can be adjusted from four to twelve times. The second set (32) indicates an objective lens diameter of 32mm. First, you want to make sure you have the appropriate mounting equipment. Check your scope for any mounting attachments. Plus, ensure the mounting hardware matches the design of your rifle scope. Alternatively, you can choose to purchase a rifle with a factory-installed scope. The final step in scope setup is aligning the reticle and adjusting the eye relief. As said earlier, there are many reticle variations, such as crosshairs, dots, circles, and exes. To align it, loosen the mounting rings and rotate the scope until the reticle is properly aligned. Finally, adjust the distance between the objective lens and your eyes such that the rifle doesn’t hit you during recoil. Determine a comfortable eye relief distance (distance between your eye and the eyepiece). As a general rule, the more powerful the scope the closer the distance between your eye and the eyepiece. Doing so will help you capture a good sight picture. NB: Most scopes have an eye relief rating. For instance, 3-9x indicates a proper eye relief that’s between 3 inches to 9 inches. Now it’s time you establish a good sight picture. It’s a 2-step process: center the reticle in the field of view and positioning it over your target. Make sure your view forms a perfectly centered circle at the end of the scope. Adjust accordingly in case of any black edges. Stability is crucial here, so using a bench or a bipod would be a good idea. NB: It’s easier to capture a good sight picture with a lower magnification scope than with a higher one. Make adjustments based on the impact of your first 3-5 rounds. Remember, with consistent firing, your rounds ought to impact in about the same area. In the event that the impact area happens to be to the right of the intended target, then adjust the windage to the right, and vice versa. If the impact falls below the target, then adjust the elevation higher, and vice versa. NB: You can refer to your user manual regarding how far each click of the elevation knob or the windage alters your aiming point. Now it’s time to adjust the parallax, which in some cases, is optional. Parallax refers to the target movement in relation to the reticle in your field of view. Parallax occurs when moving your eye from the center of the eyepiece. The first step for adjusting parallax is to ensure that the reticle is visible and clear. While still looking at the target, move your head to the sides and up/down as you slightly adjust the parallax knob. Continue up to the point where the reticle stops moving in relation to the target. This is the point where you set a known distance and ensure the reticle falls exactly at the intended point of impact. Plus, it’s time you eliminate variables by observing heartbeat, breathing, and muscle fatigue. Aim each round at the exact point and then adjust your rifle scope bringing the reticle and the impact points together. Always keep lens cover on when not in use. In the case of dust or dirt on the lenses, always use a lens brush to clean. When storing a rifle scope, keep away from direct sunlight or hot places. Clean your scope as necessary. A good rifle scope used correctly, even on a mediocre gun, can work wonders. We hope that with the above general tips, you now have an idea of what it takes to make that happen.